Certificate to present the couple after performing a wedding vow renewal ceremony. This 8.5 x 11 frameable certificate features the official ULC gold foil seal. 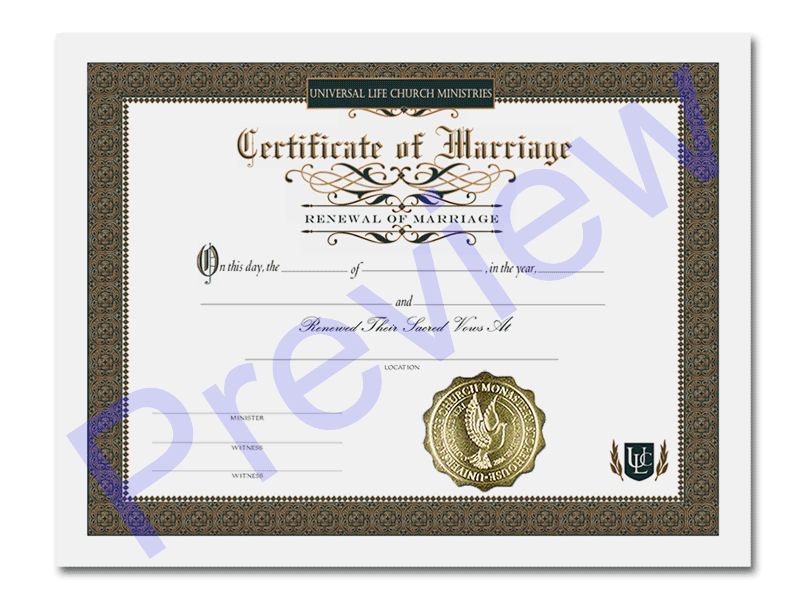 If you are performing a wedding for a couple recommitting themselves at a vow renewal ceremony, this is the certificate that will commemorate the day. Because it is not a status changing ceremony, the state will not be issuing the couple any documents and this is the best way for them to have documentation of the occasion. This certificate is 8.5" x 11" and perfect for framing. It features the gold embossed church seal and smooth high quality paper stock.